Walks on the Wildside No.1 Sundon at Sundon Walking RouteA 4½ mile circular walk from Upper Sundon through fields, woods and meadows with plenty of views. 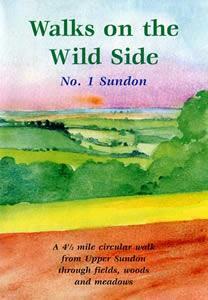 A 4½ mile circular walk from Upper Sundon through fields, woods and meadows with plenty of views. How to get there by car: Upper Sundon is close to Junc. 12 of the M1. Approx. 5miles from Luton. From Bedford take the A6 south to Streatley turn right on Streatley Road for Upper Sundon.